On Valentine’s Day, it’s not always possible to spend the holiday with all the people you love. Yet, a phone call is the perfect way to show you care. Whether you’re wooing the person that you love or you’re reaching out to a family member, find out why Ooma’s free calling app is the best way to make your Valentine’s Day phone calls. Ooma’s calling app is an extension of the Ooma Telo residential VoIP service, giving you remote access to the same calling benefits of your home phone. Do you want to make sure your Valentine’s Day flower delivery arrived without a hitch? All users can use the app on their mobile device to monitor incoming calls to their home phone and check voicemail messages. Using the app essentially allows you to have two phone lines on one cell phone. Your device’s native phone number remains the same, and your Ooma line becomes an add-on. This remote access feature is one of the ways that an Ooma home phone helps keep your family organized. Ooma Premier users unlock additional app functionality, including the ability to make unlimited calls on the app as well as receive them. This is a great way to reduce the number of cellular minutes you need through your mobile plan. On February 14, you may want to call your sweetie, call your kids, call your mom, and call your loved ones, both near and far. On Valentine’s Day, and every day, actually, Ooma Telo provides all users with unlimited minutes at rock-bottom prices. Basic Service costs about $4 to $7 per month, depending on the taxes in your postal code. Along with unlimited U.S. calling, service includes traditional calling features such as call waiting, caller ID, voicemail, and more. Advanced calling features are also available via Premier Service, which costs only $9.99 per month (plus tax). This plan expands unlimited calls to Canada, Puerto Rico, and Mexico, and offers additional calling features such as intelligent call-blocking tools, custom ring patterns, three-way calling, voicemail monitoring, and more. Do you have loved ones living abroad? Ooma’s low-cost international rates mean that you don’t need to skimp on international calls for Valentine’s Day, birthdays, or any other holiday. Ooma’s low international rates start at pennies per minute, and an unlimited international calling plan costs only $9.99 per month. When you have nearly free international calls to 60+ countries, you won’t have to think twice about picking up the phone. These international rates are available when using your Ooma Telo home phone or when using the Ooma calling app. This flexibility lets you make calls when it’s most convenient, and the app is especially useful when managing time zone differences. For example, you can use the app to call an Italian relative during a lunch break because when it’s noon in New York, it’s 6pm in Rome. It’s also easy to make an early morning call to Tokyo, catching your loved ones at 8am when you’re in the middle of your 6pm commute home. Are you splurging on a romantic vacation for Valentine’s Day? Ooma has you covered for phone calls before, during, and after your international trip. To make phone calls when traveling abroad, you don’t need to swap SIM cards, juggle new phone numbers, or change devices. Instead, Ooma gives you the exact same access as you had when you were home in the United States. No matter where you’re physically located, all calls to U.S. numbers are free, and calls to international numbers are billed at your plan’s standard rate. Keep in mind that voice calls made with the app are transmitted over the internet, and international data rates through your cellular provider may apply. We recommend making calls when connected via Wi-Fi to avoid additional charges from your wireless provider. 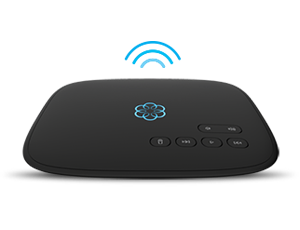 All Ooma residential phone plans start with a one-time purchase of an Ooma Telo for $99.99. This device provides the powerful functionality that allows us to offer low monthly rates, high-tech phone features, and high-quality audio that’s among the best in the industry. Users can then choose a calling plan of either Ooma Basic or Ooma Premier. Add on an international calling plan or pay-per-minute as you go. You can use your existing telephone handset or upgrade to an IP phone such as the Ooma HD3. The Ooma calling app is available for both iOS and Android mobile devices. There are no contracts, and the Ooma Telo has a risk-free, 30-day money-back guarantee. 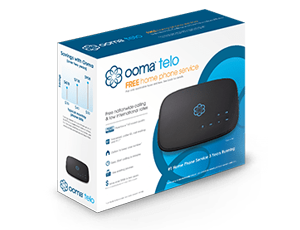 Find out how easy it is to get started with Ooma Telo phone service.